Indian street food experience could soon undergo a massive change if Food Safety and Standards Authority of India's (FSSAI) plans follows to fruition. 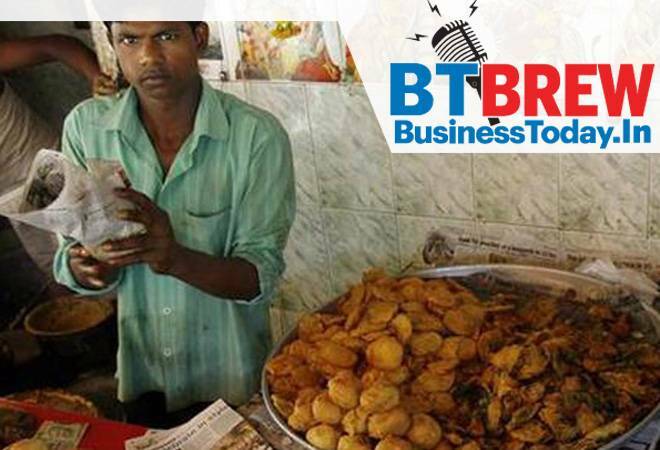 FSSAI is implementing a "clean street food hub programme" so that you can enjoy your chaats and gol guppas without bothering about hygiene. The autonomous body has identified 144 clusters across the country that would be audited by FSSAI along with state authorities for cleanliness and hygiene. Such clusters would be encouraged to keep up with certain practices and standards and the ones that meet the criteria will be given a clean street food hub certificate. A bank employee unions' federation has called upon bank unions to hold demonstrations on Tuesday to protest against the merger of three state-run lenders --Bank of Baroda, Vijaya Bank and Dena Bank, a union leader said Monday. The demonstration has been called under the aegis of the United Forum of Bank Unions (UFBU). The issue will be further discussed in the ensuing UFBU meeting to be held on October 12 in Mumbai and the further course of action will be decided upon. US-based aircraft-maker Boeing has named its India president Pratyush Kumar to lead the iconic F-15 fighter jet program in the United States and the world. Kumar, an alumnus of Indian Institute of Technology (IIT) Delhi, completed his BTech in mechanical engineering in 1989 and later went on to study Materials Engineering at Massachusetts Institute of Technology (MIT). Boeing said Pratyush Kumar has been selected to lead the F-15 program in the United States and he will focus on furthering the F-15 business in the US and the rest of the world. The country's public sector oil companies have placed orders for buying crude from Iran in November even though the US sanctions will kick in during the month as India hopes to get a waiver from the Donald Trump administration. A senior official said the waiver is expected on the ground that India has significantly reduced its oil imports from Iran before the Nov 4 deadline for US sanctions comes into effect. Washington said on Friday it was considering waivers for nations that were reducing imports of Iranian oil. The announcement is the first indication that Washington is considering such waivers. With just one day to go before the biggest festive showdown of the year between Flipkart and Amazon, the competition is revving up. The latter will launch its five-day Great India Festival on October 10, the same day that Walmart-backed Flipkart kicks-off its four-day Big Billion Days event. The flagship events, in fact the entire festive season, not only promise exciting offers for shoppers, but have also given a huge boost to job creation. According to Mint, in the last few months, Flipkart and Amazon have collectively hired about 80,000 people, including temporary workers, to handle the massive spike in orders during the sale season. The number of new jobs runs into a few lakhs if indirect jobs are also taken into account. US economists William Nordhaus and Paul Romer on Monday shared the 2018 Nobel Economics Prize for integrating innovation and climate with economic growth, the jury said. Nordhaus, a professor at Yale University, and Romer, a former World Bank chief economist now at New York University's Stern School of Business, have addressed "some of our time's most basic and pressing questions about how we create long-term sustained and sustainable growth," the Royal Swedish Academy of Sciences said in a statement. It said the pair have "significantly broadened the scope of economic analysis by constructing models that explain how the market economy interacts with nature and knowledge."